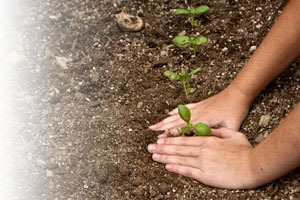 There’s an invaluable energy source buried right in your own backyard: The earth itself. Forget oil or gas, geothermal systems tap into the relatively consistent temperatures of your yard, pond or well. This ingenious technology runs on electricity but uses the earth’s thermal energy to pre-condition refrigerant used to heat and cool your home so you can enjoy higher energy efficiency inside—no matter how extreme the weather gets outside. EFFICIENT WITH YOUR ENERGY. AND YOUR BUDGET. Given the cost and instabilities around energy sources like oil, the federal government is encouraging use of energy-efficient heating and cooling system alternatives. That’s why Uncle Sam is willing to give you a tax credit of up to 30% on the cost of buying and installing a geothermal system. 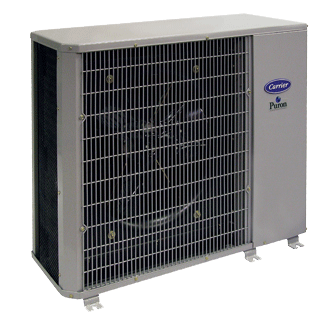 If your home has ductwork, our GT-PX and GT-PG series can supply treated air to heat and cool your home all year long. If you have a radiant system instead, our GT-PW hydronic system is made for you—and your home. Our combination systems are another way to go. Think of them as the geothermal equivalent of our popular Hybrid Heat® systems. This system can heat and cool your home year-round with a geothermal heat pump. But if you’re just getting into geothermal, you may find you have a perfectly good gas furnace or perhaps you just like the way gas heat feels on those arctic-cold days. With this system, you can choose to heat with either. Combination systems also give you the flexibility of choosing a unit that sits inside or outside your home.